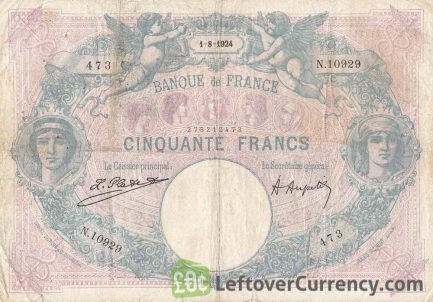 The Banque de France issued French Franc banknotes in 12 different denominations, including this 50 French Francs banknote (Bleu et Rose). 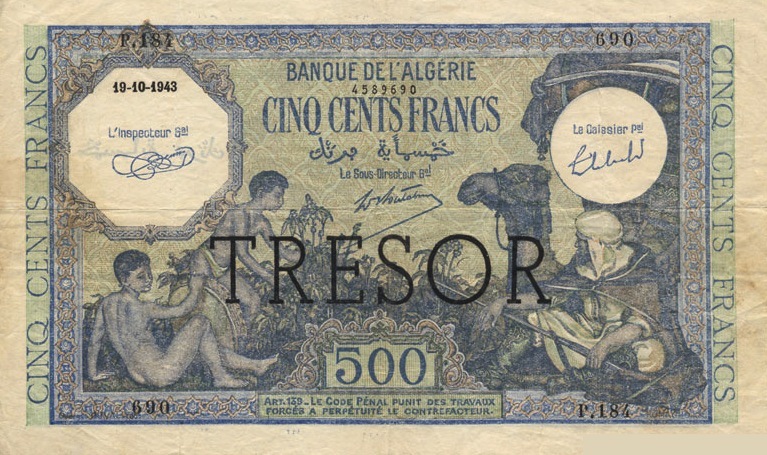 They are part of the French Franc banknotes pre-1958 series. 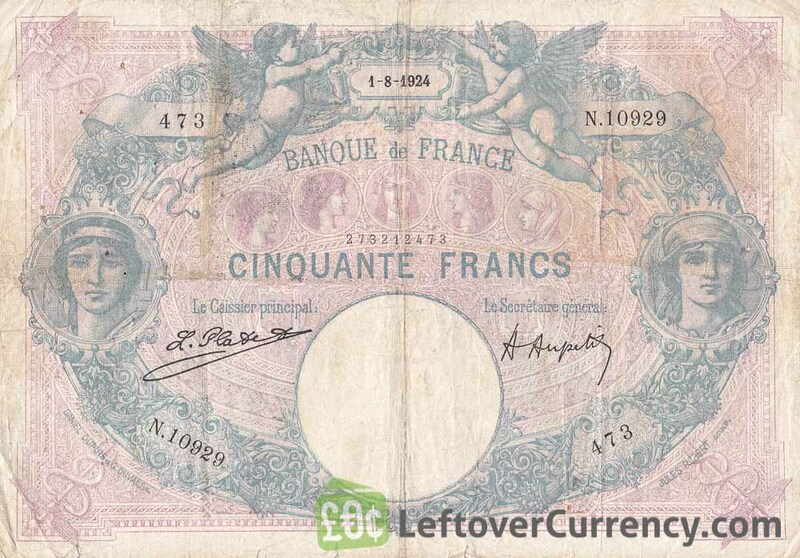 The Banque de France started issuing these 50 French Franc banknotes in 1889. 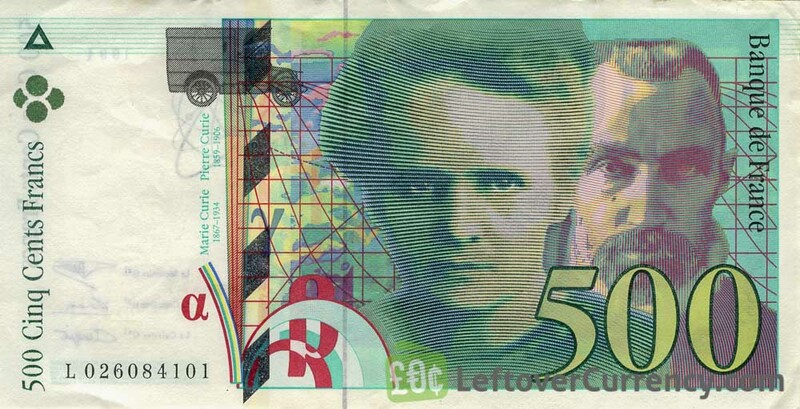 They were withdrawn from circulation in 1927. The 50 French Francs banknote blue et rose gets its name from the two primary colours of its design: Blue and pink. 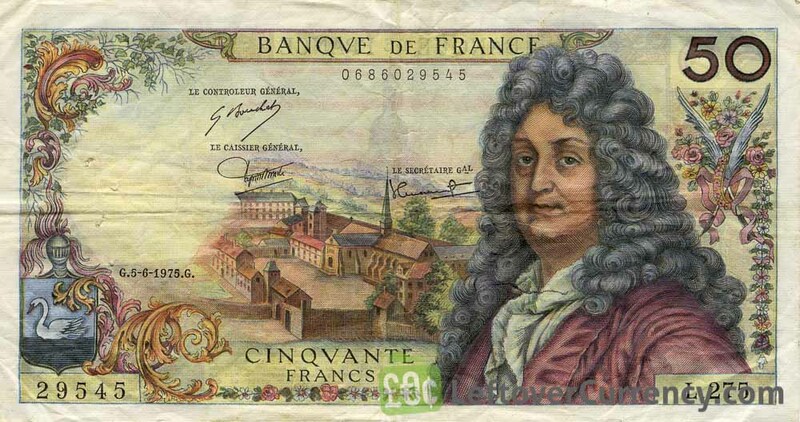 It is the largest of the French 50 francs banknotes, measuring 177mm long by 122mm wide. Repeat these steps for any other notes and coins you want to exchange. Complete checkout and get paid within 5 days of receiving your currencies. 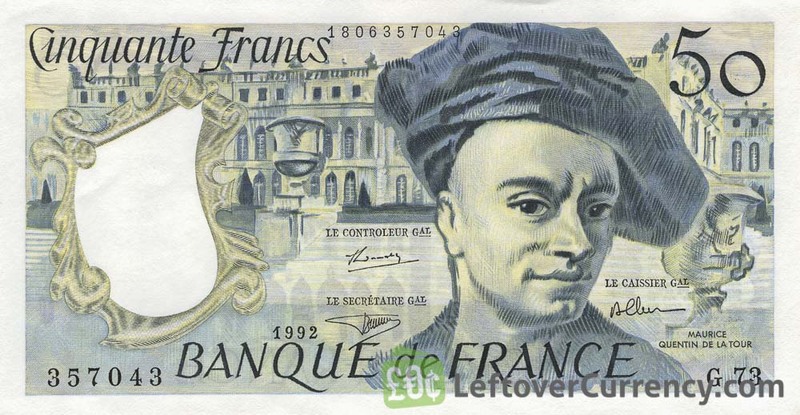 To exchange your 50 French Francs banknote (Bleu et Rose) for cash: add it to your wallet now!